I didn’t get the finishes that I’d hoped for this past week, but I did get other things done so I suppose it’s a decent trade-off. I’ve been talking about making pirate hats, aprons, spats, ruffled cuffs, etc. for the middle school drama group and this past week I finally got off of my duff and started. 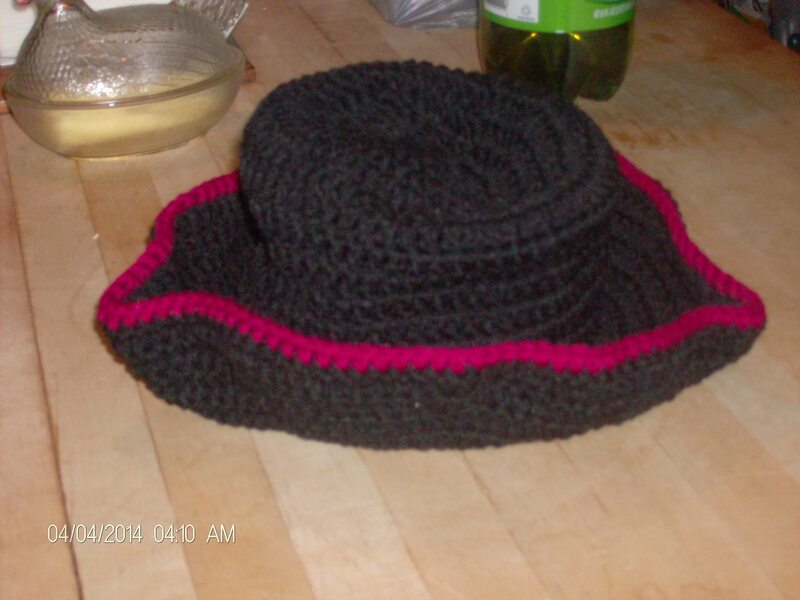 I used Julia Rosenbaum’s Very Piratey hat pattern, but I haven’t quite managed the final shaping. I’m sure that it will come. 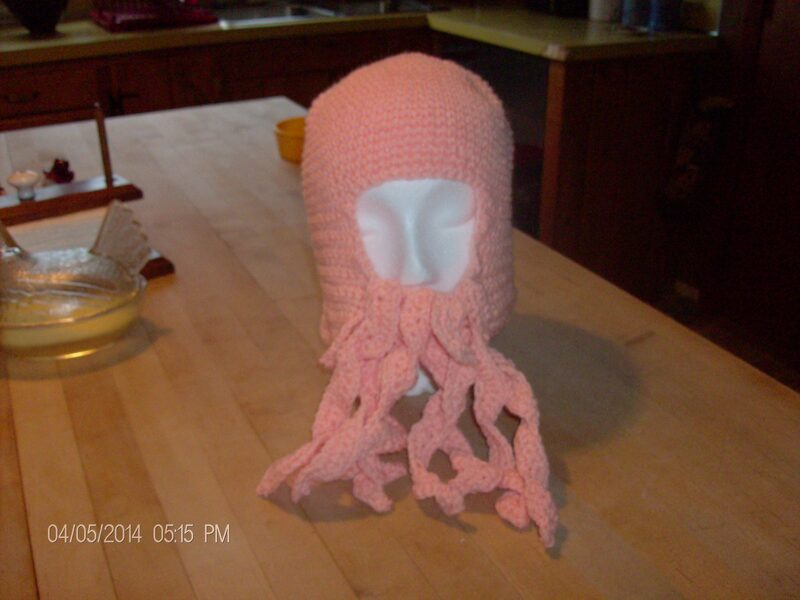 Then I moved on to Nichole M. Verville’s Cthulhu beard hat for a Davy Jones (of movie fame) character in a peach color. I thought that it came out really well. I’m debating on making little fish or something to attach to the tentacles. We’ll see how that goes. 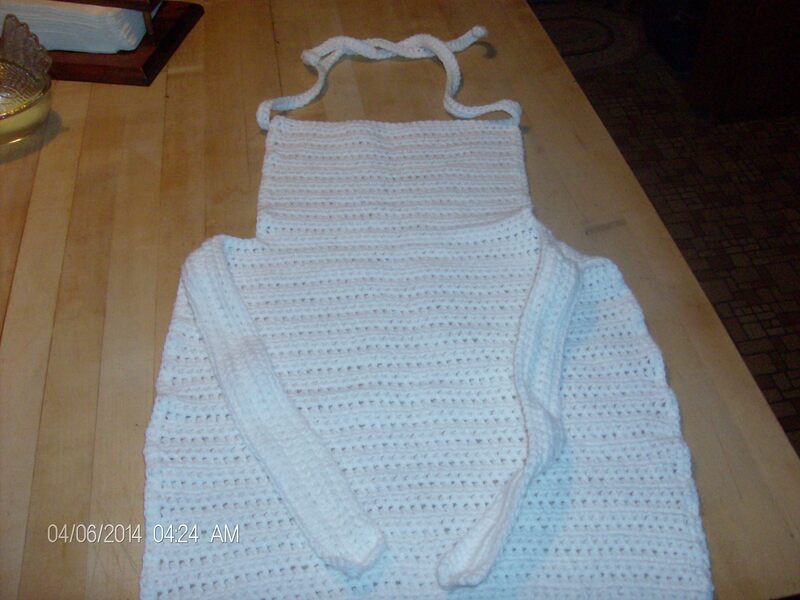 The last thing I made was a white apron. I think with a red cross on the front it will work out well and I think I’ll make up ruffled strips that can be attached so that it can also be used as a maid or nanny’s apron in the future. I took them to school today and now I’m waiting on the sizes and head counts. This could turn out to be a very busy April. Next up spats and ruffled cuffs…or and a shawl or two wouldn’t be a bad idea. I did look for a traditional nurse’s cap pattern, but I couldn’t come up with a knit or crochet pattern and I’m not sure that I have the time to sort one out before they stage their play in May. What are you working on?